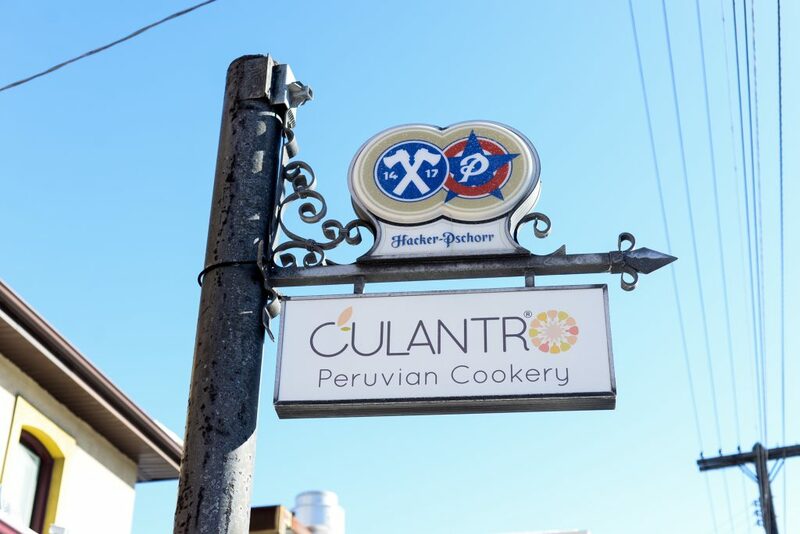 In 2013, Culantro Peruvian Cookery opened up on King William Street, hoping to help Hamiltonians discover Peruvian cuisine. Three years later, the restaurant moved locations to Main Street East, but the new venue has not changed its goal to cook up authentic Peruvian food for the residents of the city it loves. The restaurant’s chef and owner is Juan Castillo, who has a long history of working in restaurants. When his family moved from Lima, Peru to San Francisco, California when he was a teenager, Castillo began working in restaurants as a dishwasher. In time, he realized that the kitchen was where he wanted to be. Castillo’s love of cooking, however, didn’t start in San Franciscan restaurants but in his mother’s kitchen. The recipes that he uses belonged to his grandmother and mother. He was raised by and among chefs, with his family currently operating the Limon Rotisserie restaurants in San Francisco and Fresno. “Cooking was an inspiration… growing up. My mom used to cook all the time… Sunday was the day that everybody in the family would come over, uncles [and] aunts. My mom was one of the best cooks in the family so everybody asked her to make things for Christmas or birthdays… Growing up we always [had] people cooking in the house,” Castillo explained. Castillo left California for love over 10 years ago and settled in the north end of Hamilton with his wife and daughter. The city has always felt like home to him as it reminds him of San Francisco and has hot summers like Peru. Culantro is the only Peruvian restaurant in Hamilton. Castillo recognizes that the cuisine of his home country is largely undiscovered but, in his research before opening the restaurant, found that many Hamiltonians have experience with Peruvian or Latin American food. Castillo wants all patrons to feel comfortable in the family-friendly restaurant, regardless of whether or not they have tried Peruvian food in the past. Not only is the atmosphere welcoming to families and students alike, but the affordable menu is too. Most appetizers are under $10 and most main courses are under $20. In the last year Culantro has added new items to the small menu including the slow-roasted lamb shank and the Peruvian platter. Castillo also enjoys exploring new ideas in the kitchen. “[I like] the inspiration that you get from people. A lot of people come over here asking you for certain things that you don’t have or… they give you feedback. I think that’s what I like, the challenge of having something new when I come over to work, having a kitchen that I can make whatever I want. That day if I want to change it, I’ll change it… [T]he liberty that I have with that is amazing,” Castillo explained. Culantro aims to use the freshest and most authentic ingredients. Key Peruvian ingredients are sourced directly from Peru such as the Peruvian aji peppers, Peruvian soft drinks and the purple corn for Chicha Morada, a Peruvian corn drink. For other main ingredients, Culantro tries its best to source locally from places such as the Hamilton Farmers’ Market. It is not just local farmers that Culantro supports but local charitable organizations as well. They have supported churches and fundraising events, such as the Annual Salsa for Heart in 2016. The city has inspired Castillo to give back. The cookery is also a place where members of the community can gather. The restaurant regularly hosts open mic nights and live music performances. There have also been special celebrations for occasions such as Peruvian Independence Day. Culantro is currently operating with a small staff consisting of Castillo, manager Susan Abbey and waitress Julianna Lachance. But don’t let the small venue, menu or staff fool you — this restaurant is serving up big flavours, big passion and big heart to the community.